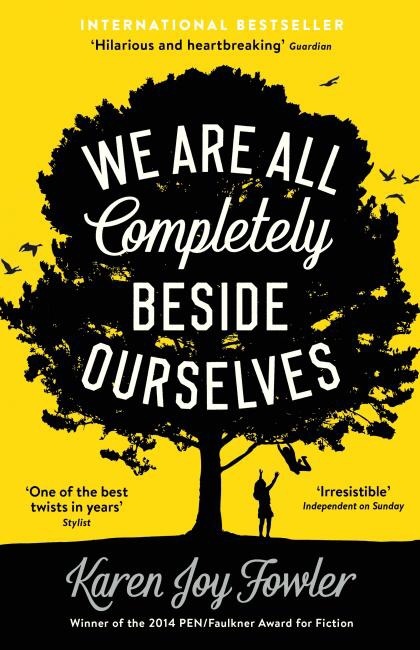 I would like to read We Are Completely Beside ourselves by Karen Joy Fowler, the bestselling author of The Jane Austen Book Club. It was Named a Best of 2013 pick by: The New York Times Book Review, Slate, Newsday, Chicago Tribune, San Jose Mercury News, The Christian Science Monitor, Library Journal, and BookPage and is the story of an American family, middle class in middle America, ordinary in every way but one. But that exception is the beating heart of this extraordinary novel. It features the Cooke family: Mother and Dad, brother Lowell, sister Fern, and our narrator, Rosemary. As a child Rosemary Cooke never stopped talking, however all this changed when her sister Fern was removed, It was the decision, made by her parents, to give Rosemary a sister like no other, that began all of Rosemary’s trouble. Over the years, shes managed to block a lot of memories. As a young woman, she wrapped herself in silence: the silence of intentional forgetting, of protective cover. Something happened, something so awful she has buried it in the recesses of her mind. Shes smart, vulnerable, innocent, and culpable. With some guile, she guides us through the darkness, penetrating secrets and unearthing memories, leading us deeper into the mystery she has dangled before us from the start. Stripping off the protective masks that have hidden truths too painful to acknowledge. Now her adored older brother is also in trouble and is now a fugitive, wanted by the FBI for domestic terrorism. And her once lively mother is a shell of her former self, her clever and imperious father now a distant, brooding man. And Fern, Rosemary’s beloved sister, her accomplice in all their childhood mischief? Fern’s is a fate the family, in all their innocence, could never have imagined. Rosemary’s young, just at college, and she’s decided not to tell anyone a thing about her family. what it is that makes her unhappy family unlike any other. Now she’s telling her story: full of hilarious asides and brilliantly spiky lines, it’s a looping narrative that begins towards the end, and then goes back to the beginning. Twice. It’s funny, clever, intimate, honest, analytical and swirling with ideas that will come back to bite you. 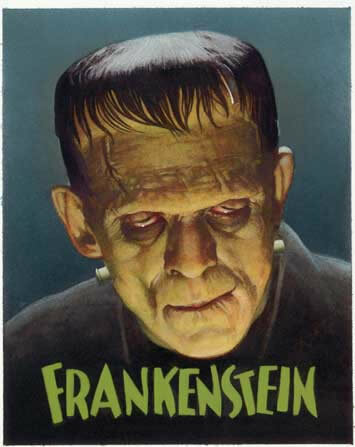 I am currently reading Frankenstein; or, The Modern Prometheus, written by English author Mary Shelley. It contains elements of the Gothic novel and the Romantic movement and is also considered to be one of the earliest examples of science Fiction due to the use of modern experiments in the laboratory” to achieve fantastic results. It has had a considerable influence across literature and popular culture and spawned a complete genre of horror stories, films, and Television adaptations. Frankenstein, starts with Captain Robert Walton, a failed writer who sets out to explore the North Pole and expand his scientific knowledge in hopes of achieving fame. During the voyage the crew spots a dog sled mastered by a gigantic figure. A few hours later, the crew rescues a nearly frozen and emaciated man named Victor Frankenstein. Frankenstein has been in pursuit of the gigantic man observed by Walton’s crew. Frankenstein starts to recover from his exertion; he sees in Walton the same over-ambitiousness and recounts a story of his life’s miseries to Walton as a warning. He begins by telling of his childhood. Born into a wealthy Geneva family, Victor and his brothers, Ernest and William, are encouraged to seek a greater understanding of the world through science. As a young boy, Victor is obsessed with studying outdated theories that focus on simulating natural wonders. When Victor is five years old, his parents adopt an orphan, Elizabeth Lavenza, with whom Victor later falls in love. Sadly Weeks before he leaves for the University of Ingolstadt in Germany, his mother dies of scarlet fever, creating further impetus towards his experiments. At university, he excels at chemistry and other sciences, soon developing a secret technique to impart life to non-living matter using electricity, and he creates a grotesque but sentient being from the parts of other recently deceased people scavenged from Morgues. Because of the difficulty in replicating the minute parts of the human body, Victor is forced to make the Creature roughly eight feet tall. As a result, the beautiful creation of his dreams is instead hideous, with yellow eyes and skin that barely conceals the muscle tissue and blood vessels underneath. Repulsed by his work, Victor flees. Saddened by the rejection, the Creature disappears. Victoria falls ill from the experience and is nursed back to health by his childhood friend, Henry Clerval. After a four-month recovery, he returns home when he learns of the murder of his brother William. Justine, William’s nanny, is hanged for the crime after William’s locket is found in her pocket. Upon arriving in Geneva, Victor sees the Monster at the crime scene, leading him to believe the Creature is responsible. However, he doubts anyone would believe him enough to stop the hanging. Ravaged by grief and guilt, Victor retreats into the mountains. The Monster locates him, pleading for Victor to hear his tale. Now intelligent and articulate, the Creature tells how encounters with people led to his fear of them and drives him into the woods. While living near a cottage, he grew fond of the family living there. The Creature learned to speak by listening to them and he taught himself to read after discovering a lost satchel of books. When he saw his reflection in a pool, he realized his physical appearance was hideous. Despite this, he approached the family in hopes of becoming their friend, but they were frightened and fled their home. The Creature then burned the cottage in a fit of rage.The Monster then demands that Victor create a female companion like himself. He argues that as a living being, he has a right to happiness. The Creature promises he and his mate will vanish into the South American wilderness, never to reappear, if Victor grants his request. In Geneva, Victor prepares to marry Elizabeth and confront the Monster. Wrongly believing the Creature threatened his life, the night before their wedding Victor asks Elizabeth to stay in her room while he looks for “the fiend”. While Victor searches the house and grounds, the Creature murders Elizabeth. From the window, Victor sees the Monster, who taunts Victor with Elizabeth’s corpse. Grief-stricken by the deaths of William, Justine, Clerval, and Elizabeth, Victor’s father dies. Seeking revenge, Victor Frankenstein pursues his creation to the North Pole, however this ends in tragedy…..